While the return of shoegaze has eaten up column inches this year, it’s actually the sneaky tentacles of early ’80s post-punk that turns up more lately. 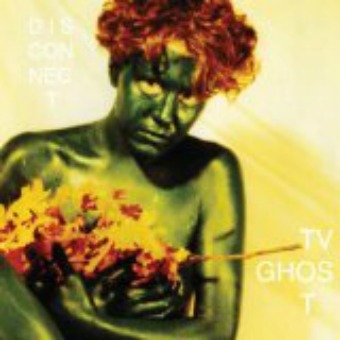 Disconnect, the new LP by Indiana’s TV Ghost is just the thing for those with an affinity for extra-black blackout curtains. While on paper the ingredients could cause some heavy-duty eye rolling, the end product is more than satisfactory, hitting that sweet spot of someone who’s listened to The Head On The Door a few times too many. And that’s a compliment, as it’s the strength of the songs and playing, and the utter conviction present, that transcends its influences. Disconnect comes to life with “Placid Deep,” where they confront the ghost of Joy Division head on, then break through to something that’s entirely its own animal. High water mark is the middle trio of “Elevator” and “A Maze Of Death,” before the stomach-clenching drop into “Cloud Blue Moments.” Closer (no pun intended), “Siren” scales back the noise, but not the intensity, giving them something that could have been a college radio staple back in the day. All together, a confident step forward in the darkness from a band coming into its own.